Now that it is harder than ever to find a airline blankets or pillows and even harder to find clean ones, consider bringing your own. These sleep aids are so small and lightweight that you will want to have them with you wherever you go. Features For plane, train, car, camping and general outdoor use, The travel blanket comes packed in a compact nylon bag with drawcord. 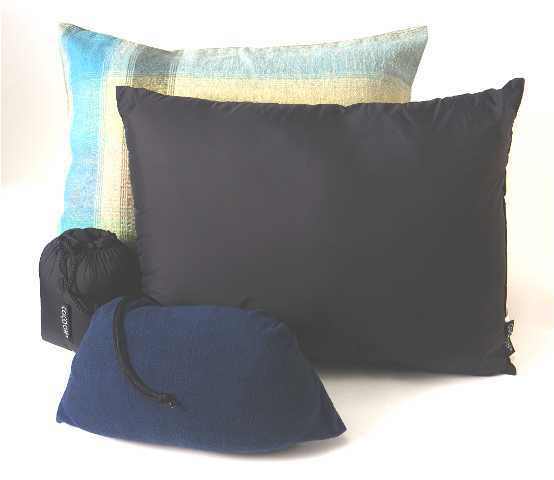 ·Ultra compact and lightweight, the blanket is warm, breathes well, wicks moisture effectively & feels great on your skin. It's washable and dries extremely fast, too. For plane, train, tent or cabin, these are the ultimate lightweight travel pillows. In their own stuff sack, they compress to the size of your fist, which makes them small enough to easily fit into your carry-on bag. 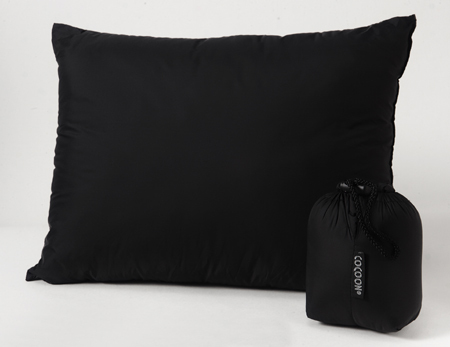 These luxurious, lightweight pillow cases are easy to to wash - even in a hotel sink - and have a hidden pocket that the pillow case backs into, making a small and lightweight package. They are specially designed to fit Cocoon travel pillows. 11 x 15½" 13 x 17"
3½" x 5" 4" x 6½"